Recently, J.Crew and J.Crew factory have released the CUTEST things. Scallops, bows, ruffles, gingham, polka dots, stripes- all too much to take! Because of the impressive new releases, I decided to show you all my wishlist! I have also included two items that I have purchased already because, hello, how could I not? In conjunction with this post, I wanted to also tell you about some things I have been thoroughly enjoying! So, without further adieux, please enjoy this super sweet little post! And just because I have been slacking on the blog a bit lately (sorry about the lack of fashion posts! ), I thought I would include some things I'm loving right now! Also, I have a friend who just started a blog of her own! Many of you all have asked me to do faith based posts, but I would prefer to stick to fashion. However, I have a friend who started a faith-based blog. We plan to do some collabs soon! Check her blog out! I recently purchased a Day Designer planner, and I am so excited! It doesn't start until June, so I have to wait a month to start planning. However, it is too cute and I have it sitting on my desk in full sight! 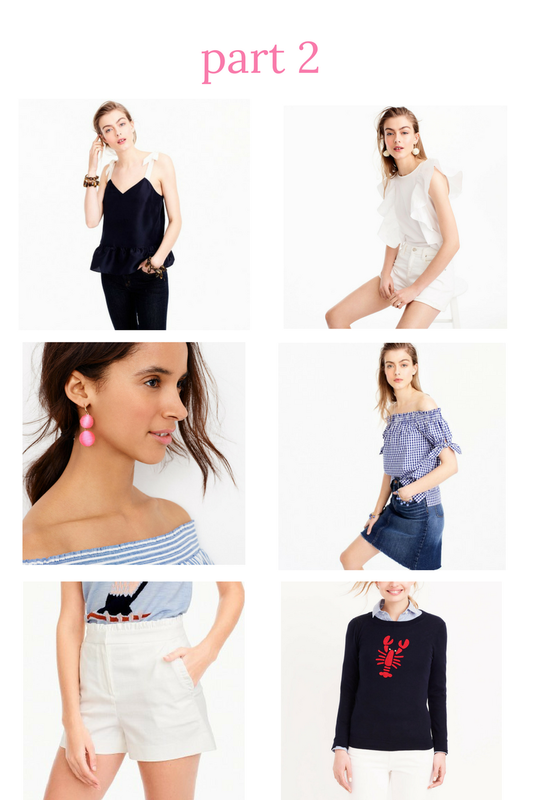 I hope you all enjoyed this wishlist for J.Crew! 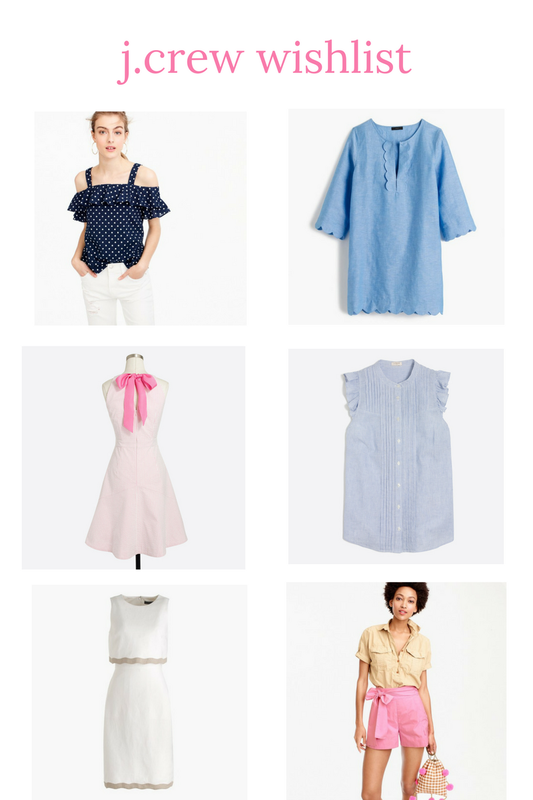 I seriously cannot believe all the fabulousness coming out of J.Crew right now. They are on point and honestly are producing some of the best pieces. I plan on doing blog posts for several of these items very soon, so stay tuned for that! Once again I am sorry for the lack of fashion posts, but as you can see in my lately in my life post, I am quite busy and honestly will not be on top of my game until I graduate. Thank you all for understanding!